A new international trailer for Tim Burton’s feature adaptation of the cult soap series Dark Shadows has gone online. The US trailer debuted last week, and I was pleasantly surprised by the clip; Dark Shadows looks like an incredibly goofy, fun time in the vein of The Addams Family and Beetlejuice. Johnny Depp stars as a vampire who awakens in 1972 after having been buried for 200 years and tries to reconnect with his descendants. This international trailer isn’t much different from the US trailer, but it adds a bit at the end featuring Alice Cooper. The joke doesn’t really work for me, and Cooper seems like a really random addition. But, you know, ghoulishness. Hit the jump to watch the international trailer. The film also stars Eva Green, Michelle Pfeiffer, Chloe Moretz, Jackie Earle Haley. 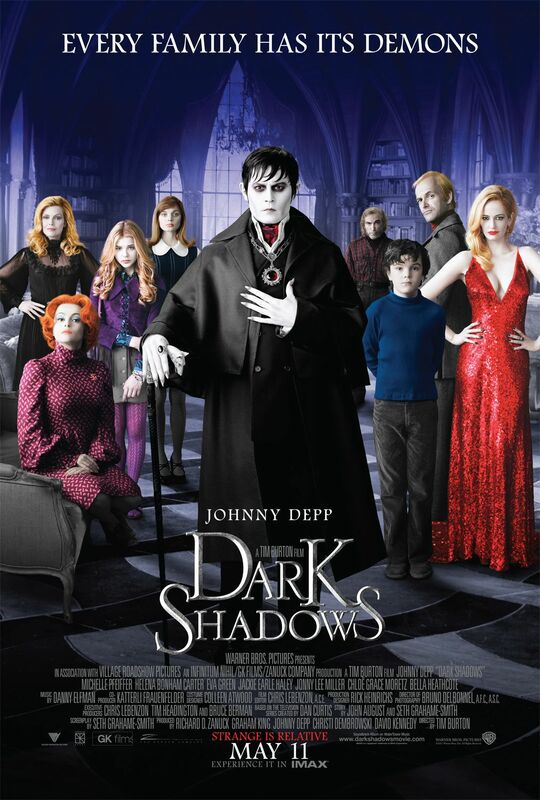 Dark Shadows opens on May 11th.